It’s not often actors reveal information about what happens before the cameras start rolling on a major film, but Sir Ian McKellen has written about the table read for his new film, Beauty and the Beast. Reading McKellen’s words you can tell he’s really excited about what’s to come, not least because he’ll be singing and dancing! He took to Twitter to describe the first read through for the film’s cast. 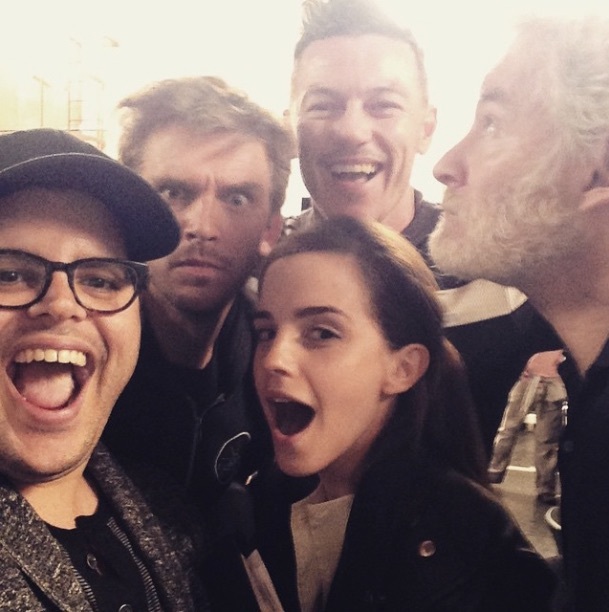 With McKellen’s description and Josh Gad’s cast selfie, I’m starting to get really excited about this film. A quick round-up of some of the news you might have missed this week including Ian McKellen, Daniel Radcliffe, the Avengers and dates for your diary. It looks like the live adaptation of Disney’s Beauty And The Beast will be a very British affair. Emma Watson has already been cast as Belle in the film which is being directed by Bill Condon. Now it looks as though Belle has found her Beast in the shape of former Downton Abbey star, Dan Stevens. And not only that – Luke Evans has been set to play vain villain Gaston. When Watson was cast she wrote on Facebook about how excited she is to sing and dance in the film, so will the boys be doing the same? I’m excited because I’m back with a weekly entertainment news podcast! My friend Angie Greaves and I used to record these every week but had to stop last year when I changed jobs. This week, we’re talking about David Tennant, David Oyelowo, Prince, the Oscars and much more. Do have a listen – it’s only 10 minutes long. And if you want to find out more about Angie, her website is http://www.feeling-fab.com You’ll find loads of great articles to make your life Fabulous as well as a weekly entertainment column from me.